If you aren’t sure what an umbrella insurance policy is or how it may be of benefit, you should take a moment to learn more about this special type of coverage. Below is more information about umbrella policies, including coverage details, and why purchasing a policy may be the best financial decision you will ever make. Most homeowners understand they need property insurance to safeguard their homes in case of physical damage, but many homeowners don’t realize that liability insurance is also critical. Liability insurance is necessary because it protects homeowners from financial loss in the event of an injury suffered on their property or due to their actions elsewhere. Fortunately, most homeowner policies also add liability coverage to property coverage, so there is usually no need to purchase a separate policy. However, the reality is that many people aren’t adequately protected by a standalone homeowner’s policy. That is where an umbrella insurance policy becomes valuable to homeowners. Just like a real umbrella protects you when it rains, an umbrella insurance policy is designed to guard you from financial loss when the storms of life come your way. Umbrella insurance, which is also called excess liability insurance in some circles, overarches other existing liability policies and becomes available once other insurance coverage is exhausted. Umbrella insurance is a secondary insurance product; it cannot be purchased until one or more primary liability policies are in place. For homeowners, this means a homeowners insurance policy must exist before an umbrella policy can be put into effect. In addition, an umbrella policy can apply to auto liability situations only if an underlying car insurance package has been written. Because umbrella insurance policies cover only the excess, these policies will pay once a primary policy has paid out to its limit. For example, if your homeowners liability insurance is limited at $300,000 per incident, then any damages will be capped at $300,000 unless an umbrella policy is in force. After that point, the umbrella policy will take up payments until its separate limit is reached. An umbrella insurance policy possesses its own deductible, which is known as a self-insured retention. The retention is a predetermined amount that must be paid by the insured before the umbrella policy begins paying. For example, if an umbrella policy contains a $5,000 self-insured retention, and the limit is $200,000 for general liability coverage, then the insured must pay the $5,000 gap between $200,000 and $205,000. The size of the retention can affect premium amounts, but keep in mind that too large a retention amount can hit you hard if you aren’t prepared financially. Who Should Purchase an Umbrella Insurance Policy? Frequent guest visitation and or overnight accommodations – If people spend a significant amount of time at your home either visiting or staying overnight, your liability exposure increases. High-mileage drivers – This protects individuals who spend a lot of time on the road and are more likely to be involved in an accident due to their frequent travels. High net-worth individuals – In a lawsuit, the plaintiff is likely to pursue the most damages from the person with the most money. An umbrella policy can protect a homeowner’s hard-earned financial rewards. Inherently dangerous activities on site – The presence of swimming pools, hot tubs, athletic equipment, shooting or archery and several other risky activities can leave homeowners open to loss. 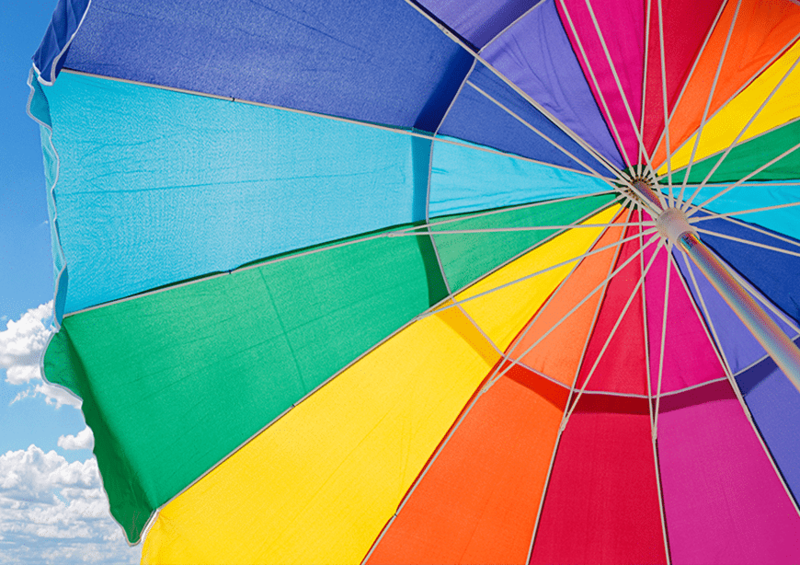 Umbrella insurance policies aren’t usually costly. One million dollars in excess coverage may only cost a couple hundred dollars a year. If you have any questions about purchasing an umbrella policy or want to learn more first, then be sure to contact The Trottier Insurance Group for assistance. Our team of professionals can provide you with coverage that will guard your assets.